This is a rare opportunity for investors to buy valuable unclaimed property from the State of Texas at low online auction prices! Is Texas holding your unclaimed property? 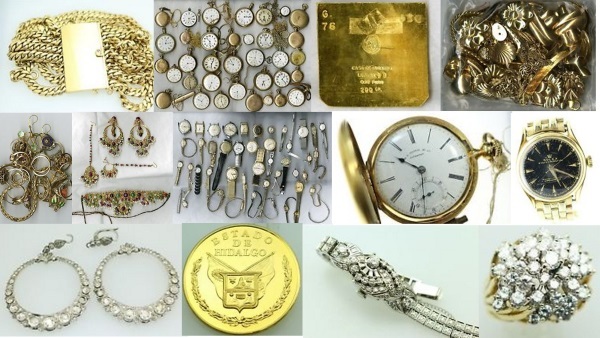 The State of Texas sells unclaimed items found in safe deposit boxes like fine jewelry, loose diamonds, gold and silver bullion, collectible coins and paper currency in live public auctions on eBay. The State lists unclaimed property for auction online at regular intervals. One in four Texans has unclaimed property from forgotten bank accounts, uncashed checks, bank security deposits and utility refunds totaling more than $2.2 billion in cash and other valuables held by the Comptrollers Office just waiting for the rightful owners to claim.